This particular project required the installation of these stunning uPVC French Doors. The doors were originally a large window in the property, but our team reduced the brick line in order to create space for the doors. The doors were the perfect addition to this open, creating a beautiful transition and stunning views into the customer’s garden. This was the perfect job for spring, ensuring this family can enjoy their French Doors all summer long. 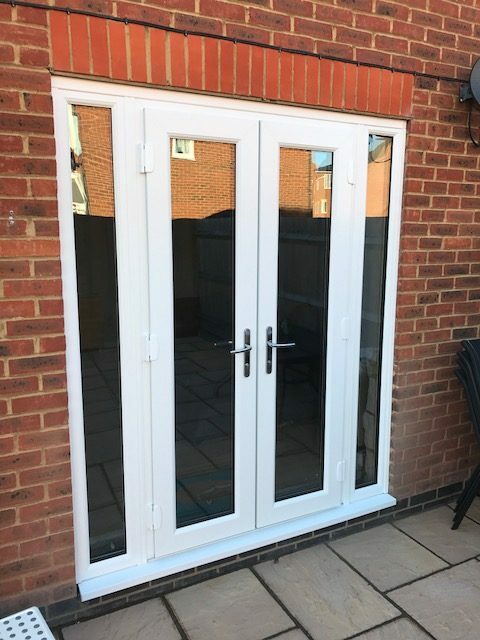 If you are thinking of installing French Doors in Daventry into your home, then why not give us a call today to receive a free quote.